Over the years, it’s been exciting to observe how there’s continually more and more focus on perennial breeding. 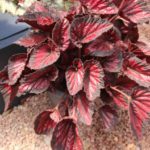 The results of these efforts have brought many exciting new perennials to the market and have helped strengthen the popularity of perennials. 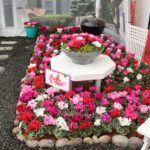 Plant selection and breeding efforts largely focus on improving the flowering attributes of perennials; this includes extending the blooming season, decreasing the vernalization and photoperiod requirements and selecting perennials that rebloom. 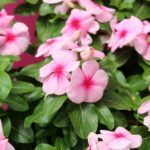 Other common attributes perennials are selected for are compact growing habits, good branching, disease resistance, and heat, humidity and cold tolerance to name a few. Each year, I observe many of the new varieties at several of the trial locations, trade events and new plant trials at various grower locations across the country. 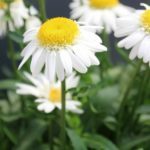 Many growers are looking for the best of the best and although there are certainly attributes worthy of consideration across most new perennials, here’s a sampling of several recent introductions that stand out to me. If there’s truth to the statement that “bigger is better,” ‘Super Star’ from Darwin Perennials is the coreopsis for you. After all, ‘Super Star’ has the largest flowers of any tickseed on the market; they’re 2.5 inches in diameter. This hybrid has a similar habit to Darwin Perennials’ Uptick series and grows 14 to 16 inches tall. Not only are the flowers huge, but this cultivar blooms and blooms. When most of the flowers appear spent, it can be sheared to return it to full flowering. It is mildew tolerant, but I wouldn’t say it’s resistant to powdery mildews. With its extra large flowers, extended bloom time and hardiness to Zone 5, this coreopsis will be the superstar of the landscape. Looking for a seriously intense perennial? Check out heuchera ‘Dolce Wildberry’ from Proven Winners. I mean seriously, the purple foliage is absolutely stunning. The large scalloped leaves have noteworthy charcoal veins that stand out in sunny locations. Unlike other cultivars out there, ‘Dolce Wildberry’ doesn’t fade and holds its bright coloration without burning throughout the season. The foliage is the main selling point, but it does produce white flowers held on dark stems with rosy pink calyxes. Heuchera ‘Dolce Wildberry’ is definitely a great Zone 4 perennial that will absolutely stand out in containers, at retail and in the landscape. Heliopsis ‘Burning Hearts’ from Jelitto Perennial Seeds is not your ordinary heliopsis. No, this great new introduction is a showstopper. 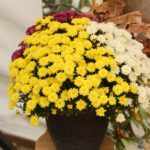 First, ‘Burning Hearts’ has deep-purple foliage and if that wasn’t enough, it produces an abundance of contrasting dynamic yellow daisy-like flowers with orange centers. 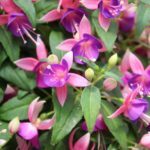 This great cultivar has a sturdy, upright habit reaching around 3 feet tall while blooming and is hardy all the way down to Zone 3. Not only is ‘Burning Hearts’ a great perennial for attracting people into the garden, but butterflies and other pollinators are drawn to it too. Very few perennials rival the flower power and longevity of agastache in a container or landscape. Terra Nova Nurseries recently introduced ‘Poquito Dark Blue’, which is one of four reliable cultivars in the Poquito series. ‘Poquito Dark Blue’ is fast growing and produces a constant supply of purple-blue flower spikes from June to October in most locations. The compact clumps reach 14 inches tall when they are in full bloom. 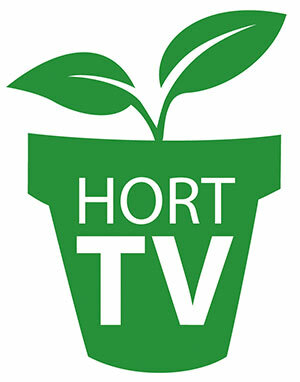 Currently, it’s listed as being hardy throughout USDA Hardiness Zones 5 to 10. This fragrant cultivar attracts pollinators and hummingbirds into the landscape and makes a great cut flower. It is also deer resistant and drought tolerant once established. If you’re looking for a great plant with lots of flower power, give agastache ‘Poquito Dark Blue’ a try. the fall landscape. With its multi-season appeal, this long lived native Zone 4 perennial is a good staple for any landscape. Allow me to introduce you to rudbeckia ‘Glitters Like Gold’ from Intrinsic Perennial Gardens. Sure, it looks like the industry standard we’re all familiar with, but let me reassure you ‘Glitters Like Gold’ is not the same old, same old. On the contrary, ‘Glitters like Gold’ has thinner and hairy foliage providing excellent resistance to the leaf spots we’ve all come to expect. It also produces loads of cheesy yellow 3-inch Black Eyed Susan blooms from late July through September, but the intensity and bloom volume are greater than other rudbeckias on the market. With these great attributes and hardiness to Zone 4, ‘Glitters Like Gold’ is likely the rudbeckia you’ve been waiting for. If you’re looking for a great late summer perennial, helenium ‘Salud Embers’ from Darwin Perennials is worth considering. With its compact 14- to 16-inch habit, attractive flowers and late season bloom, ‘Salud Embers’ is a perfect candidate for fall programs. It is well branched and produces yellow-tipped red flowers with unique eyes in the late summer and continuing into the fall. With its vibrant colors, ‘Salud Embers’ is great for containers and will stand out at retail. However, it is also a great landscape plant with hardiness to Zone 4 and is a great perennial for attracting pollinators into the garden, but is resistant to deer and rabbits. Very few perennials rival the impressive flower display of lupines and the recent introduction of the Westcountry series from Must Have Perennials puts an exclamation point on that. Check out the impressive display of flowers in the image (‘Westcountry Red Rum’ back and ‘Westcountry Gladiator’ front). I think you see what I’m talking about. There’s currently 12 magnificent cultivars available and each of them is as impressive as the two shown here. The 12-inch flower spikes rise above the attractive foliage in mid-May through early June. These Zone 5 cultivars make great focal points in the landscape, eye-catching mass displays and show-stopping containers. humidity and dry soil. What’s not to love about ‘Dream Dazzler’?